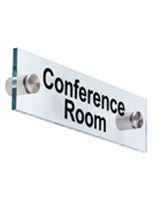 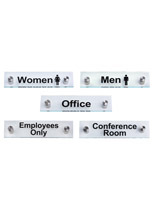 Lettering for "Conference Room" & "Office"
This custom look standoff sign set features two pre-printed wall mounting fixtures labeled "Conference Room" and "Office" for easy identification of meeting and business areas. 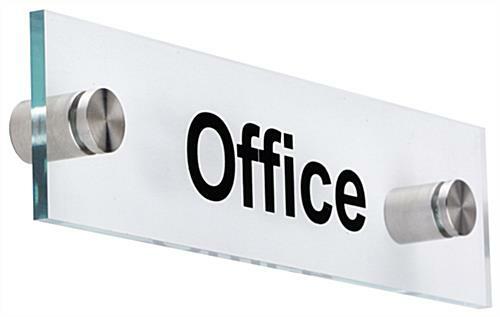 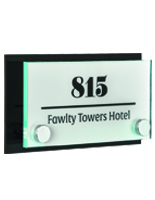 Designed to match the look of tempered glass custom door displays and decor, each of the nameplates is an 8" x 2" clear acrylic panel with green edges and vinyl printing. 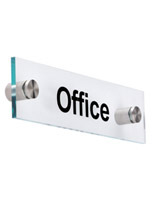 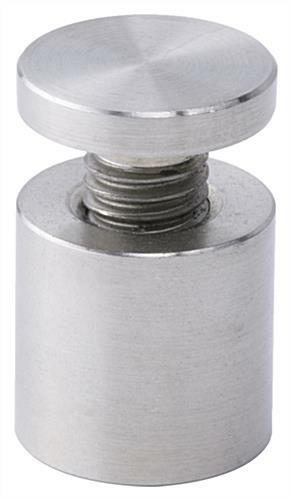 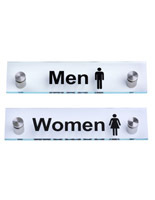 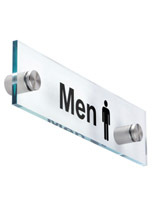 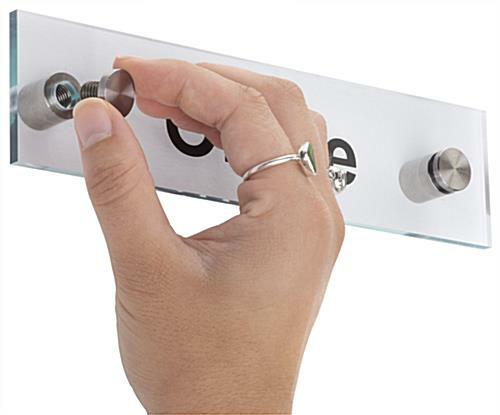 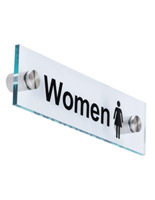 The modern look standoff sign set comes with 1" long silver finish steel through-grips for 3-dimensional wall mounting. 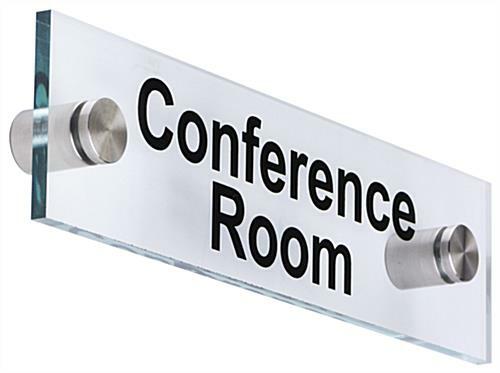 This type of pre-printed stylish meeting room signage is an economical alternative to having custom nameplates made to match existing door or office display frames. 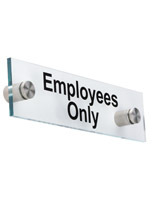 The lightweight acrylic standoff sign set's green edging and black vinyl printing will complement any decor. 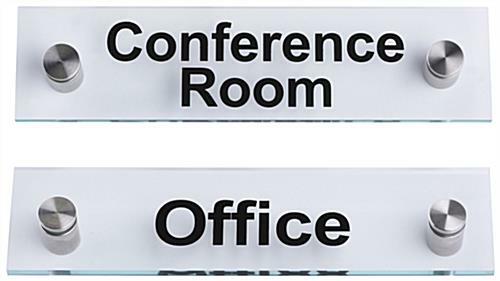 The set of two door displays give any business or commercial operation a professional look by providing easy to read conference room and office identification for customers and staff.